Very cool, looking forward to future sessions. It was really great 🙂 I strongly recommend trying the Product Development Game! Thank you for the possibility of taking part in this amazing workshop! The game was fun and revealed new talents. A very quiet team member took the role of PO and led the team very efficiently. Cool game! Very well prepared and conducted too! Facilitation was very much needed and helpful. This workshop shows how complexity affects software projects. Nicely wrapped in Scrum practices (roles, artifacts and events). I wish we had more time to play. Really good job with Product Development Game! It’s good to fail, so we can learn. The game perfectly reflects the business complexity of product development. And it’s a great entertainment! Thanks for the big fun combined with knowledge and congratulations on developing such a great game! Thank you! Tremendous knowledge collected in the game. Great idea! This game maps reality really well. Looking forward for the next workshop. Great game – I recommend playing it! Chapeau bas to the organizers! The game is awesome and triggers thinking. Great workshop, I would gladly forget what it was about just to play it again. The game is very entertaining, eye-opening and challenging. It helps understand what influences the product development process in a fun way. Very successful meeting. The game made me think about how wrong things can go when we are not able to see every aspect of the simulated project environment. The game is really cool! Excellent! One of the best workshops I have ever had. Well invested time! Great way to learn how complex product development is and how consecutive decisions influence it. In contradiction to other training games it’s not simplified what makes all mechanisms and effect really tangible for the participants. working on a product launch. They’ve talked the investors into their idea, signed the contract and secured the seed funds. The milestones are set. The team feels the energy and joy of creation. The dreams are finally coming true. of launching the 1.0 version of the product. when the future unfolds not quite as predicted. How will the team deal with volatility and complexity? Will their strategy hold? Will they manage to meet the goals before the stress level becomes unbearable or funds run out? Tough decisions need to be made. 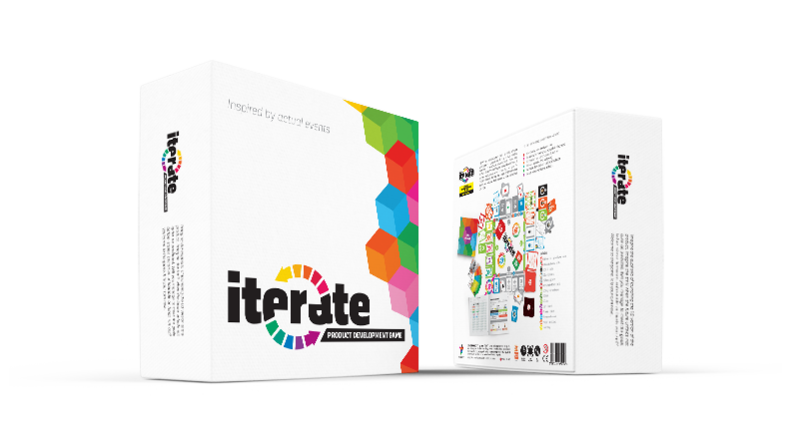 ITERATE™ is a cooperative simulation game for product development professionals. It is a unique sandbox experience of a software development process and product development lifecycle. Players experience a demanding environment and cooperate to overcome adversities. The game runs in turns, simulating Scrum Sprints. 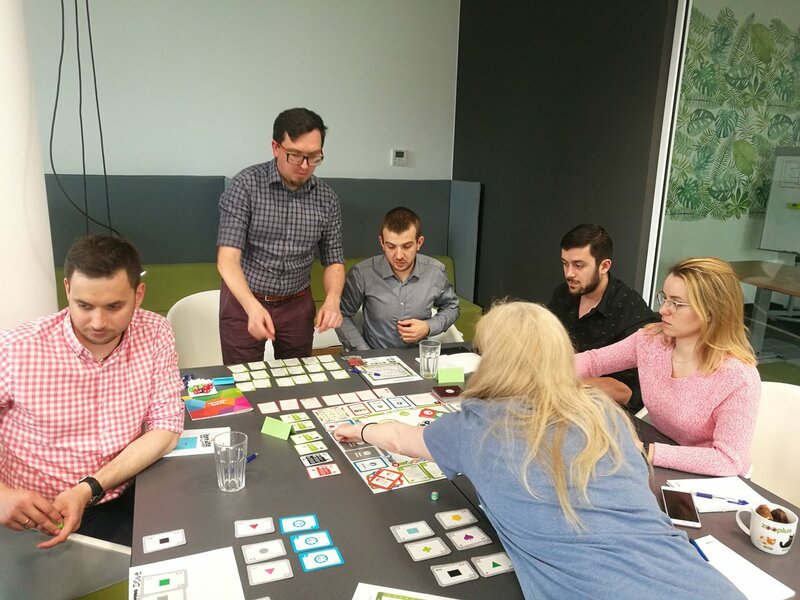 The players are guided through a sequence of Sprint Planning, Sprint Review and Sprint Retrospective, to experience how roles of the Product Owner, the Development Team and the Scrum Master must come together for the product to succeed. The goal is to deliver a valuable product and make a profit. Preferably lots of it. 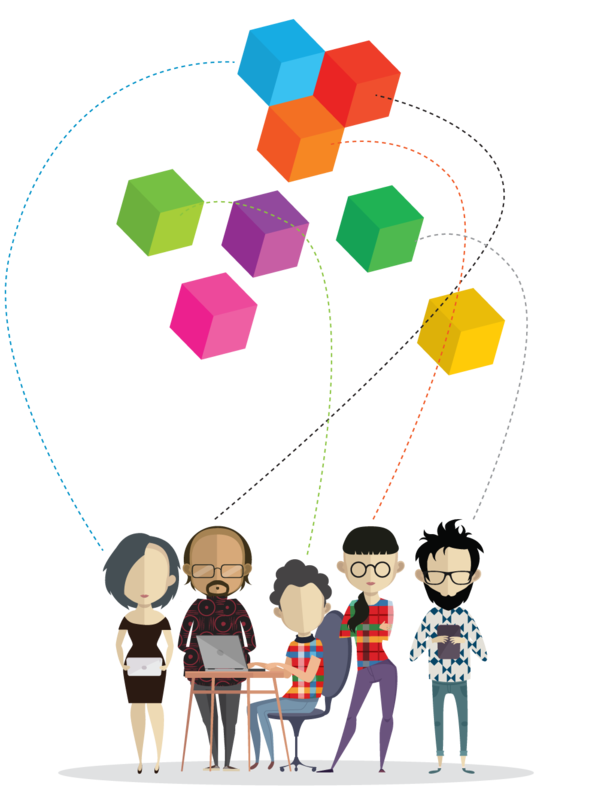 ITERATE™ will spark your product management instincts. You will manage the development process. You will manage the budget and the revenue stream. You will strive to stay innovative and profitable. You will grow the team, deal with stakeholders, the market, the competition and more. Have you ever felt the energy and joy of creation? Or the bitterness when things were just the opposite of what you wanted them to be? We did — many, many times. So we translated our experience to the game rules so that you can experience all of that in a safe, simulated and fun environment. It will become all clear why software projects are late and cost more than anticipated. More importantly, you will learn what to do about it. 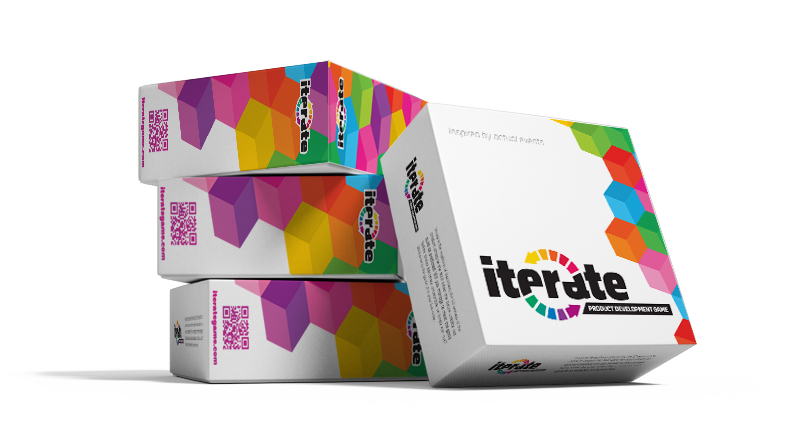 ITERATE™ is a highly educational game for product development professionals. It depicts iterative and incremental development process and uses Scrum methodology as its backbone. It runs in turns called Sprints and guides the players through the sequence of Sprint Planning, Sprint Review, and Sprint Retrospective, showing how the roles of the Product Owner, Development Team, Scrum Master and the stakeholder must come together for the product to succeed. Future looks promising. Expectations are high. Plans are challenging. Reality bites. Myriads of situations to deal with, multiple strategies to try. How would you deal with the unknown? Would you choose to work harder or smarter? Would you pivot or not? Would you fight the competition or decide not to compete? The choice is all yours. Pick up your role and join the game. Fail safe and learn fast they say. Fail safe, learn fast and have fun we say! 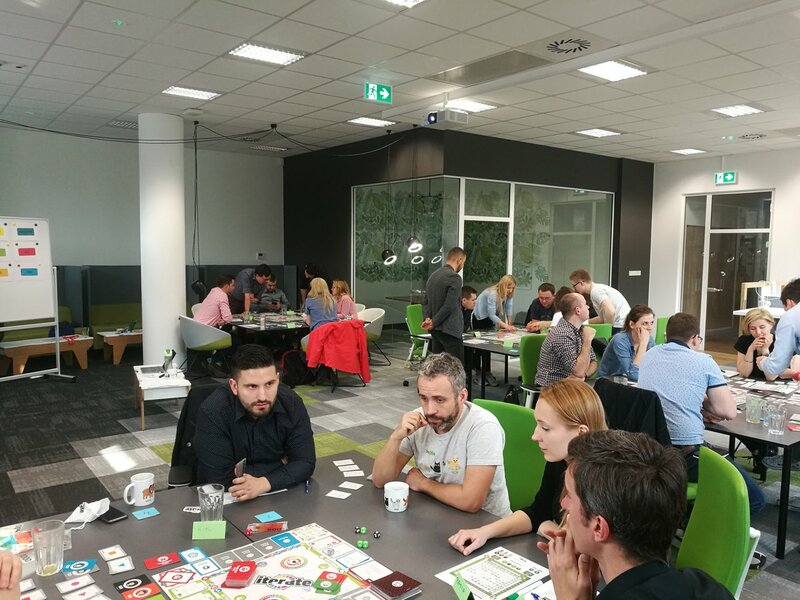 Play the game with your team, your colleagues and your customers. Increase the chances of succeeding with your next project. Select an edition that fits your needs. Basic game edition for everyone to play with their friends at home or colleagues at work. Suitable for 2 – 6 players. This edition is for personal and non-commercial use only. See the facilitators’ and professional trainers’ editions for more sophisticated use. License details. Enhanced game set for everyone to facilitate workshops for their colleagues at work. Suitable for up to 12 players. Company-level license for internal and non-commercial use. See the professional trainers’ edition for a commercial license. License details. Advanced edition for professional trainers to run public commercial workshops. Suitable for up to 24 students. An individual nominative license for up to two* professional trainers. Read the trainers program and contact us to learn more about benefits and price structure. License details. Attend a workshop led by our trainers. Spend a day full of joy, inspiration, and learning. It is a truly unique opportunity for 6 – 24 players. 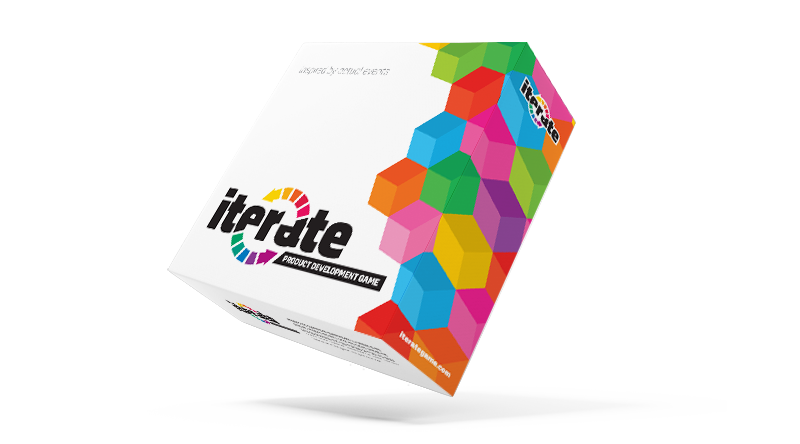 You will experience the ITERATE™ game in all its glory – the newest and the brightest version plus all the extension packs released to date – trained by seasoned product development professionals. 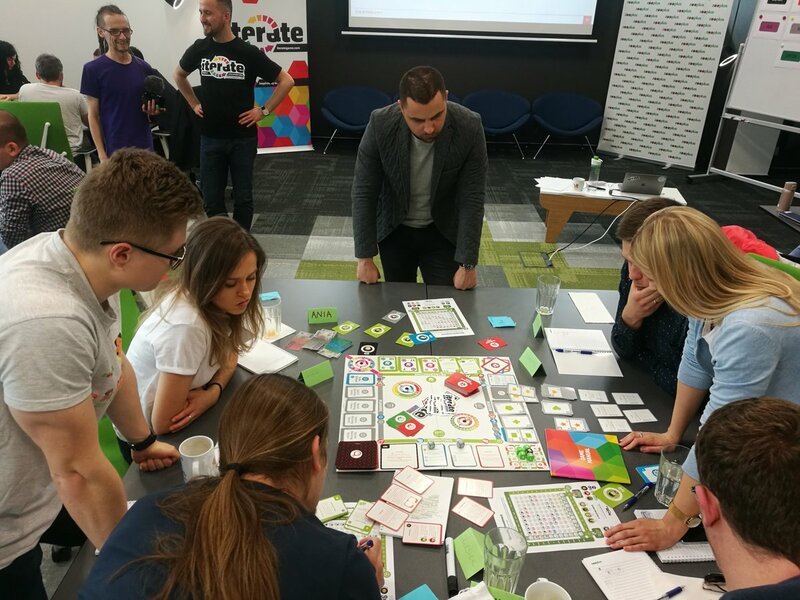 Our workshops are meant for Product Owners, Product Managers, entrepreneurs, developers, Scrum Masters, and agile coaches. Anyone looking for inspiration in agile product management. You will learn what software product development feels like and how to achieve goals using an adaptive approach. Pick a date below. You can select from commercial paid workshops, community free events or schedule a private session with us. Be sure to come back to this page often as more dates will be added soon. We believe learning is the most effective when it’s fun. That’s why we combine ITERATE™ with our teaching and that’s what the game was created for! Be it a basic Scrum workshop, advanced Scrum Product Owner course, new software team boot camp or a startup community meetup. Every single time we witness engagement, fun, energy and learning. Players tell us the game is addictive and they want to play more. Needless to say, we have as much fun playing the game as we have using it as a teaching aid! Now, we want you to share this joy with us. Learn more about our trainers program. I learned a lot during this game. I want my whole department to play to better understand the complexity of Product Owner role. Just like the real life, only the mechanisms around are more transparent. I had no idea how many different things affects Product Owner decisions. Schedule a private workshop with us if you have a team of 6 and more. Drop us a line describing your needs and we will do our best to get back to you with an offer within 1–2 working days.